This icon of film is always welcome in an FB message or chat session. We love creating new emoticons that our fans will love to use again and again. 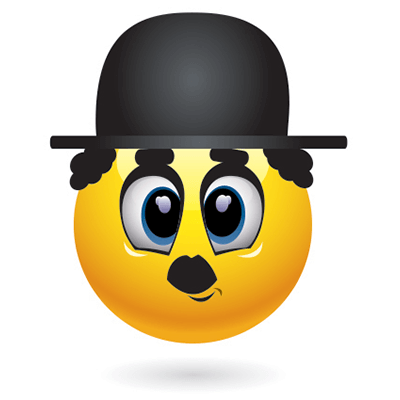 If you love to act or are a big Chaplin fan, you can adopt this unforgettable emoticon and make this most of his undying charm!